Mirror Books has signed Breaking Dad, by James Lubbock, the true story of a man who discovers that his father is a drug-dealer. Ajda Vucicevic, senior commissioning editor at Mirror Books, bought World rights from Warren FitzGerald. Breaking Dad tells the story of how 'one well-to-do family man became Britain's most wanted meth dealer. For the first time, James, his son, tells the true story of how his dad left a cosy suburban family coin-dealing business and swapped it for drug-dealing in London.' Mirror Books will publish in hardback, priced £16.99, on 25 April. 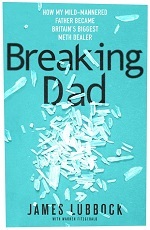 Vucicevic said: "Breaking Dad is a compelling, unputdownable and darkly comic account of one man finding out that his dad is a crystal meth dealer – and how this comes to affect all of his relationships as well as his own life. It also explores how a normal, mild-mannered father from the suburbs can fall into the shady underground world of drug-dealing in London. It's a fascinating insight, and stranger than fiction account of their experience that I am sure readers will love." Lubbock said: "I'm absolutely thrilled to be able to share my story with a wider audience – a story which, at times, I struggle to believe even happened to me. It brought me to the brink, but also provided me with the tools to be able to deal with whatever life throws at me in the future. Everyone has a story and this is mine – I hope every reader enjoys it."